According to Hindu mythology Brahma is the creator. He is known as the creator of the four Vedas. 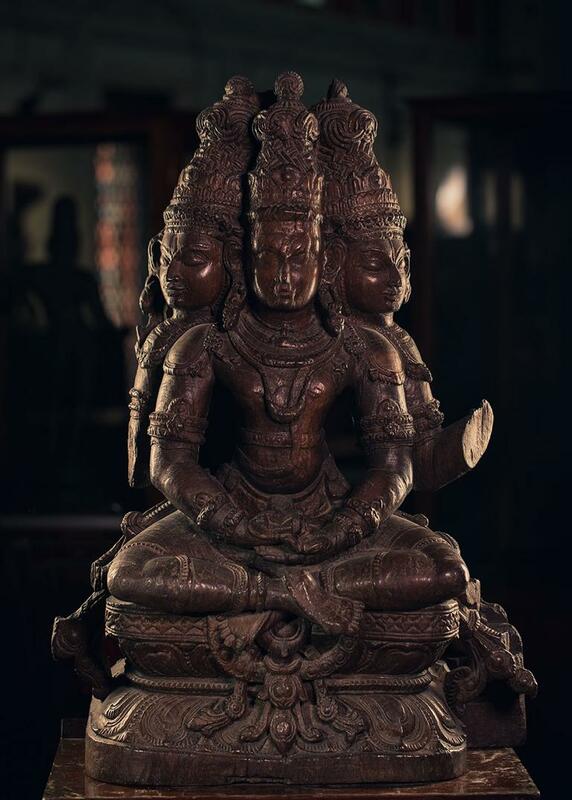 Brahma has four faces and he is a part of the ‘Trimurthi’. The image of Brahma is notable for its exquisite carvings. This is a typical example of brilliant craftsmanship. The image is four- handed and has three heads. Brahma is seated in Padmasana.